Bangkok – the street food capital of the world and home to Asia's best restaurant (Gaggan, according to the World's 50 Best-list). 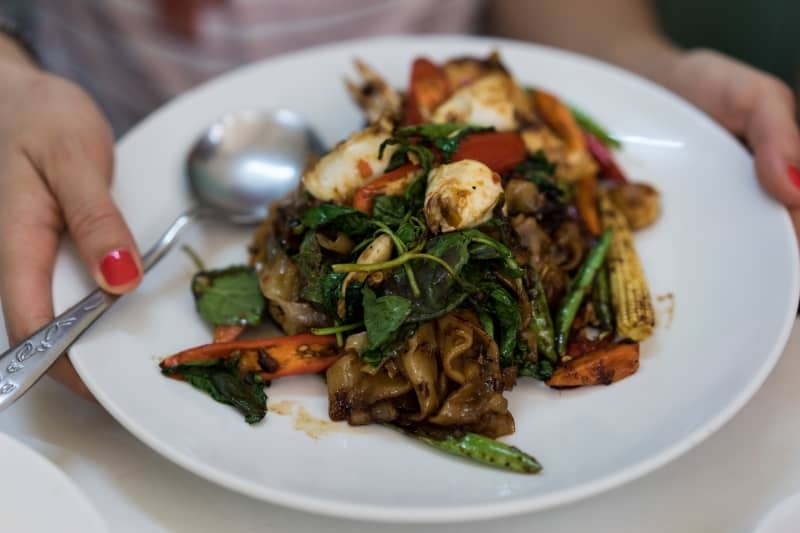 A foodie destination attracting visitors from near and far, whether they come for a taste of traditional pad thai at a local Thai eatery, or a more progressive Michelin-starred tasting menu. Although, the distinction between starred food and street food is not so evident in Bangkok anymore. In April last year, the Bangkok Metropolitan Administration (BMA) announced a campaign to take back the streets of the Thai capital. For too long, they claimed, food vendors had been allowed to seize public space and occupy the pavements from pedestrians. The statement was later clarified, denying that it was a blanket ban on street food, instead, warning of regulations on when and where vendors can set up shops. – They want people to use the legal spaces offered by the government to sell food, explains San Francisco expat Billy Bautista. – Even though most people would still call this street food, these are actually brick and mortar shops who pay rent and taxes. According to Bautista, these shophouse eateries are the real gems of Bangkok. After a week of eating my way through the city, I can only agree. While the more unskilled laborers with wheeled food carts do provide affordable food for locals everywhere, it's the sit-down restaurant who employ the best chefs. The prime example of this, perhaps, is Jay Fai, or Sister Mole, as the old lady's nickname translates. 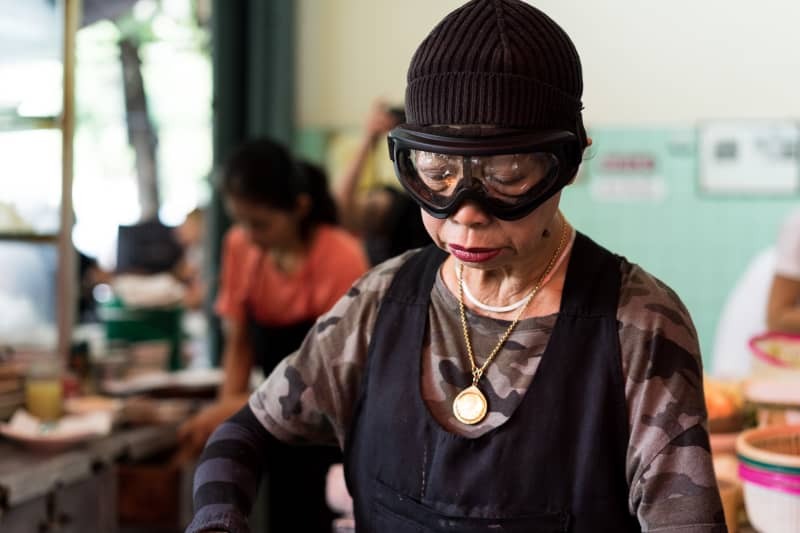 Always sporting her iconic ski goggles and deep-red lipstick when she cooks up her renowned deep-fried crab omelette. Made to perfection every time. These days, people line up all day long for a taste (or just a photo), after she was awarded the city's only Michelin star in the street food category. Since its Bangkok launch in December 2017, the French food Bible has sparked quite some controversy. The new strategy of cooperating with local tourism authorities has been heavily criticized, with the most avid adversaries claiming that the guide cannot possibly offer independent reviews anymore. Awards to hawker stalls like Jay Fai and similar places in Singapore have been dubbed marketing stunts. I beg to differ. From my perspective, the Michelin Guide is simply adapting to a new media reality, where people no longer buy books, and everything is available for free online. They run a business after all. I'm just glad to see that not only white tablecloths and caviar gets the inspectors' attention in 2018. Bangkok's street food deserves a star! I am Anders Husa – a marketer and foodie living in Oslo. I eat at the best restaurants in Scandinavia and other major food destinations in the world. My goal is to share the best recommendations with you. A creamy porridge with a nice contrast of crispy sugar-toasted oat kernel really kicks this everyday breakfast up a notch! Semolina porridge is smooth as velvet, and here we have made it even better by using almond milk — healthy and tasty! Famous for its local gastronomy with healthy meals and international inspiration, We Bistrot is the project conceived by its owners, Lorenzo Fragola and Fernando Pérez Pradells, and led by Luca Pizzolorusso that awaits in one of the most fashionable neighborhoods of Barcelona.